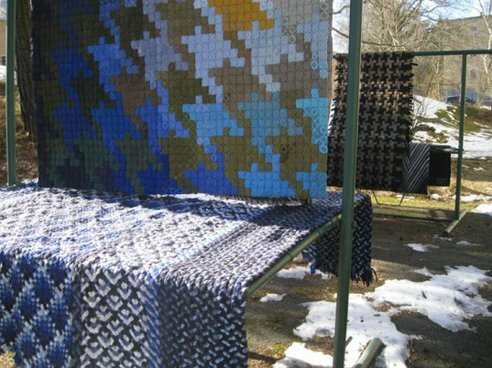 Handwoven from fabric scraps, rag rugs were once commonplace in thrifty North American households until the mid-twentieth century, ostensibly as a way to upcycle old clothing and sackcloth into something that could serviceably decorate a bare floor. 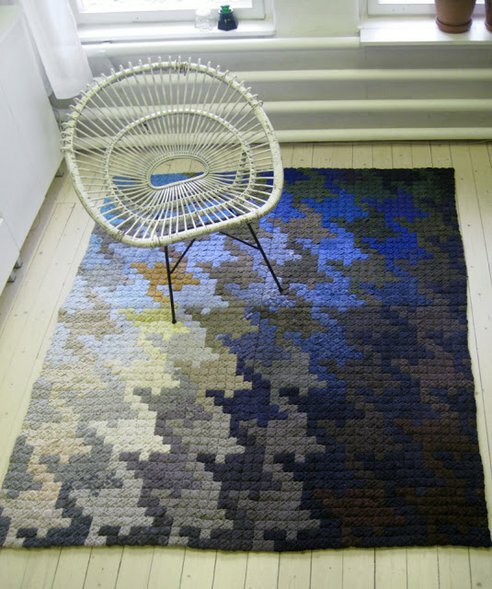 In an effort to revive the practice while making gorgeous works of home decor, Swedish designers Katarina Brieditis and Katarina Evans started Re Rag Rug, a year-long, experimental design project that aims to make a unique, recycled rag rug each month. 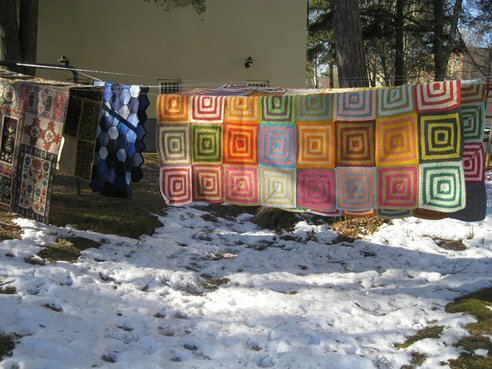 Begun in August 2012, the project involves Brieditis and Evans trawling local thrift stores in search of cheap woolens and t-shirts as raw materials for their rugs — with most of their materials being donated by the stores outright, like ripped shirts and shrunken woolens. 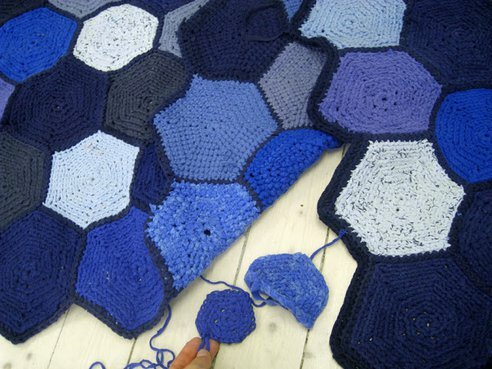 Their aim is to use different types of materials and techniques for each rug, ranging from sewing pieces together to plaiting, knitting, macramé, rolling, crocheting, applique, and embroidery. 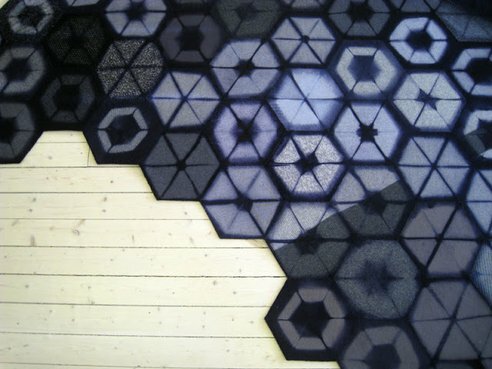 It’s neat to see how the availability and nature of the materials dictates the sizing, colouring and patterning of the rugs — making each one distinct. 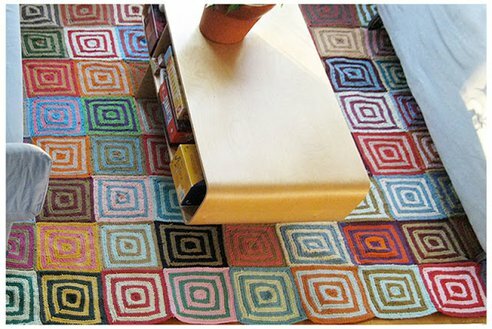 All over the world rugs protect from cold floors and draft, they have a major impact on the acoustics of a room. They gather groups of furnitures in a space, create a room in the room and serve as an [aesthetic] element to a room. 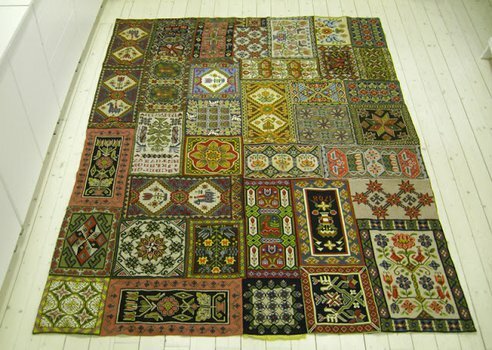 Rugs should withstand to be stood, walked and crawled upon and they are important bearers of culture for many people. 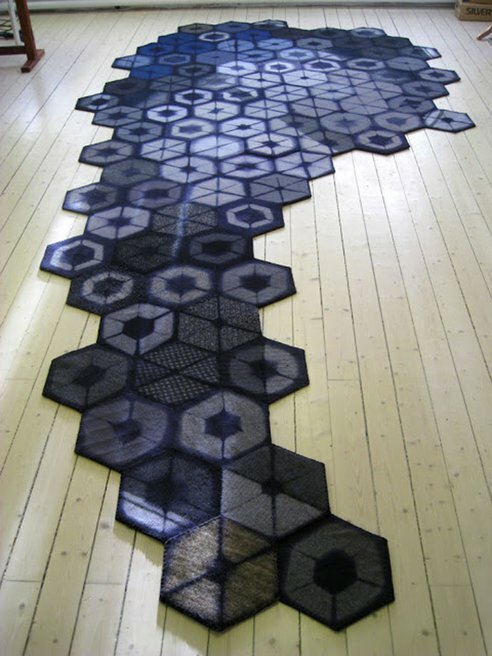 Chic yet grounded, these artistic rugs are a great inspiration for those who want to make their own recycled rugs. 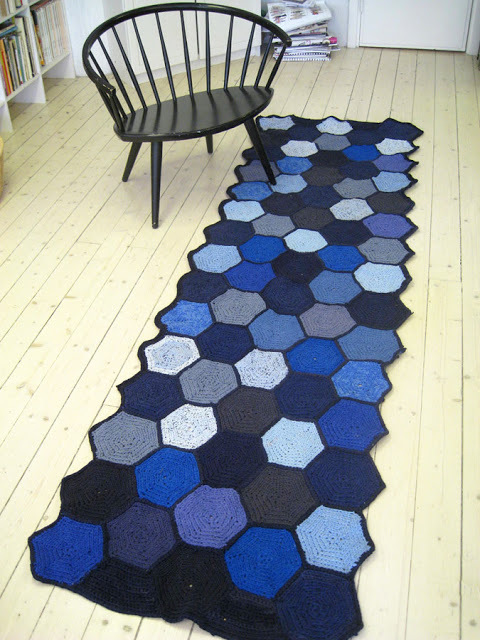 More over at Re Rag Rug (in Swedish).